Lightning Thief is a mythological movie that brings the gods down to earth in modern times through their demi-god offspring, three teenagers played by Logan Lerman (Percy), Brandon T. Jackson (Grover) and Alexandra Daddario (Annabeth). 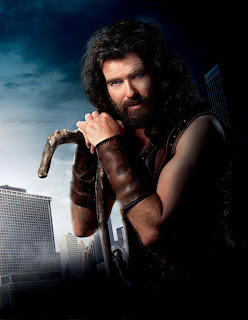 Pierce Brosnan stars as my spiritual mentor, Chiron. You know, the centaur who has a recurring role on this blog. 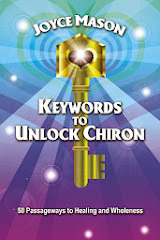 To see how Hollywood “did Chiron” was one of the major lures of the movie for me. I can’t help but wonder if the producers consulted an astrologer on the release date of this film, just days before an exact conjunction between Neptune and Chiron. These two characters are key players in the movie, and it’s even more cosmic and mythical if no one was conscious of their meet-up in the sky. Interspersed throughout this review are quotes from a real movie reviewer and certainly my reliable favorite, Roger Ebert. As a born-and-bred Chicagoan, I love the Sun Times critic for his old home location and casual wit. His full review of The Lightning Thief is linked here, and I think you’ll agree, this guy gives great raised quotes! (Roger’s a Gemini, born 18-Jun-42 in Urbana, IL). I have to say outright; we’re not talking Oscar caliber, deep or cerebral cinema here. Park your disbelief and leave it locked in the car, but bring your sense of humor and adventure. Lightning Thief was directed by Chris Columbus who did the first two Harry Potter movies, so it’s no surprise that there’s the same quality to the film, down to the trio of two male and one female friends who are on a quest, fighting alls sorts of demons and god/esses gone amuck. There’s even a school involved, of course. Otherwise, why would Chiron be there? I’d rate it higher than most of the reviews I’ve read—a solid 3 to 3.5 out of 5 stars. But then, I’ll be the first to admit; I’m easily entertained. Percy Jackson goes underwater to think where he can hold his breath for seven minutes at a time. Before long, we understand why. He is the son of Poisidon (aka: Neptune) and a mortal woman. Many people around Percy are secretly mythical beings disguised as “normal” in his everyday world. Soon Percy must learn the truth about himself. He’s in danger because Zeus (Sean Bean) is powerfully peeved that someone has made off with his most potent lightning bolt—and the Z-god thinks it’s Percy. This is actually not the case, which makes Percy’s imminent danger all the more thrilling, because he has to find a way to clear his name. He can’t just turn over what Zeus wants and fix the problem. Percy is given till the Summer Solstice—two weeks away—to return Zeus’s lightning bolt or the gods will stage a war that’s likely to destroy the earth. Talk about pressure, especially when you don’t even have the thing in the first place. Believe me, after seeing Zeus’s temper in action in this film, I’ll no longer await my Jupiter transits like they’re upcoming picnic days with ice cream. 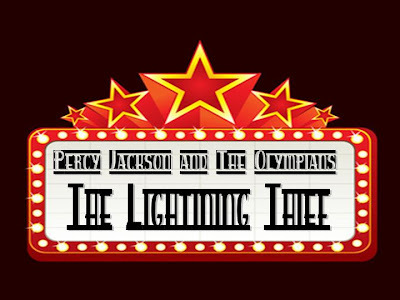 Because he’s so sure Percy stole the lightning bolt, Zeus is on the outs again with his brother, Poiseidon, the kid’s absent father. But he’s absent for a reason. Zeus has forbidden the gods, who have borne half-breeds with humans, to see their children, which sets up some wonderful lines and wonderings about “Daddy issues.” There are some Mommy issues, too. 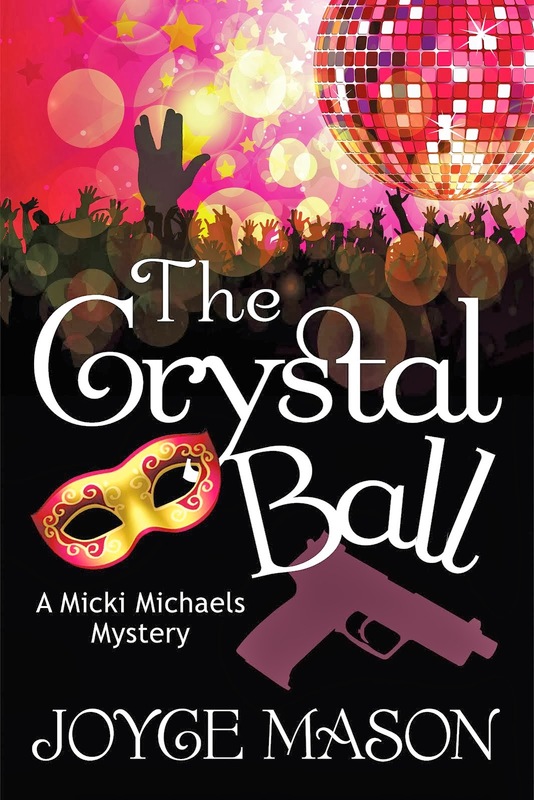 To spare you any spoilers, I’ll go light on the plot but comment that there are moments of witty comedy in-between never a dull moment of action heroics and edge-of-your-seat happenings. Although I have mixed feelings about Pierce Brosnan as Chiron, which you’ll read below, in general, the cast was most appealing. Catherine Keener as Percy’s mom is sweet and long-suffering, putting up with spouse Gabe Ugliano, who has ugly in his name for a good reason. If he were one of the mythical beings, it would be half-pig. I’m sorry to say, he’s an abusive, base, woman demeaning creep. Percy says as much and stands up to his stepfather with help from Grover in a defining moment. Gabe is played by someone who has the creep factor down pat, Joe Pantoliano, best known as Ralphie from The Sopranos. Rosario Dawson is hot as Persephone, and even though we know he’s the same kind of animal—far worse than Gabe Ugliano—when Hades takes form in Steve Coogan, he’s utterly magnetic. He made me see why I used to go for all those Plutonian guys! Although her appearance is tantamount to a short cameo near the end, Melina Kanakaredes (Stella Bonasera in CSI:NY) is breathtaking as Athena. A beautiful woman in urban America, in her goddess garb, Melina’s classic Greek looks are even more stunning in their natural element. The “real” Athena could not have been more beautiful. Who Would You Have Cast as Chiron? Even before I saw the movie, Pierce Brosnan did not initially strike me as Chiron incarnate, but I've had a hard time deciding who does. I’m still scratching my head on that one. Alec Guiness in his Ben “Obi-Wan” Kenobi persona from the original Star Wars, so far, is my only candidate. But he is no longer incarnate whatsoever. That probably shouldn’t matter when it comes to mythical beings channeling wisdom, but starring in a movie is another story. Although Hollywood special effects could probably pull off a starring role by a deceased hero-maker, I’d still like to come up with a live one! I’d love to hear your ideas! To his credit, Pierce did a wonderful job of capturing Chiron’s kind, caring, but task-mastering spirit, training his young charges constantly for battle, presumably both literal hand-to-hand combat and their future struggles between good and evil. He looked a little young for the job in my mind, and like all the gods and demi-gods portrayed in this movie, he was almost too handsome. My disbelief was barking from the car that his horse half did not look too authentic nor its intersection, hidden by a wide leather belt, but since I’ve never seen a centaur, what do I know? At least I can agree with Roger Ebert that he wore it well. Chiron gives a one liner toward the end that encapsulates the point of all spiritual warrior training when he tells Percy why he’s his favorite student. If you’re curious about Pierce’s birth data, note that it was time for Chiron to shine through him, given the close square between his Taurus Sun and the Neptune/Chiron conjunction. This show had to go on! Stop! Don’t head for the exits as soon as the credit start to roll or you’ll miss one of the best and funniest scenes in the entire movie, even though it’s entirely predictable, once you see where the action is headed. I had to look up the term for what I’m talking about—a post-credit scene, also known as a movie coda. I don’t want to spoil the fun for you. Let’s just say that someone gets his or hers in a way that’s not only satisfying down to the viewer’s toes for instant karma; it also juxtaposes a scene for which this actor is famous, and I didn’t even get the play on it till I got home. I have to give a lot of credit to any movie that keeps on giving after some and all of the credits. If any of my reactions tempt you to see The Lighting Thief—or if you’ve already seen it—I’d love to hear your feedback in the comments. I really enjoyed myself. Blog Comment Contest! Don’t forget to comment for entry into this week’s comment contest for Valentine's Month. Comments on any post qualify according to the guidelines in the announcement. Need a how-to on commenting? Click on The Cosmos Comments. Week 2 Comment Contest Winner! Congrats to “LB,” winner of this week’s drawing among readers who have commented on The Radical Virgo between Feb. 8 -14. LB commented on the post, The Depths of Change. 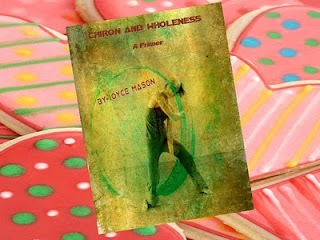 LB, since I have no contact information in your comment, please e-mail me and provide me with your e-mail address to receive your prize of my e-book, Chiron and Wholeness: A Primer. 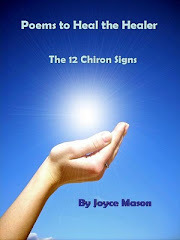 For only $7.95, Chiron and Wholeness: A Primer will bring waves of healing to your heart and life. Check out this reader feedback. Today only—Valentine’s Day—you’ll receive a free gift with purchase of the Chiron e-book, my fiction e-book, The Training Tape. Both are balms for the spirit! Each has deep insights on how to live—to be the best you. 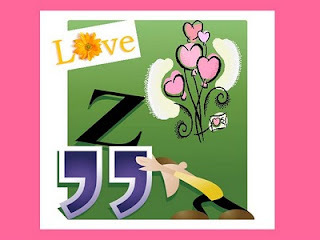 I hope you’re enjoying this month’s comment contest and posts on the themes of love and relationship as much as I’ve enjoyed writing them. The gift-for-purchase is an extra Valentine. © 2010 by Joyce Mason. Valentine’s month is the perfect time to think about where your love lives. Your Venus sign is your love style—its house, your base of operation. There are so many aspects of life to love, but the house where your Venus resides will tell you about the slice of life where your love shines. We all do our best from home base or home court. We even call it the “home court advantage” in sports when a team plays a home game. 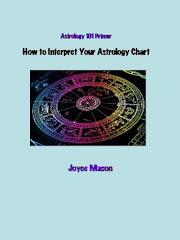 So, get out your comfy house slippers and let’s take a spin around the zodiac wheel and a look at your love and comfort zone! Venus in House 1 ~ Your love lives in a House of Mirrors where you wear your heart on your sleeve. The 1st House tells us how we appear to others or how we project ourselves. It could be literal; you look loving, sweet, or kind. Or maybe you have a heart-shaped face. Another option? Your loving nature may be what first strikes others about you. Venus is especially interested in her good looks, particularly if she’s in either of the signs she rules—Taurus or Libra. In that case, you may be a looker or perceived as one by others. Beauty is in the eye of the beholder, but what we project contributes greatly to what others see. Example: You may be overweight, but if you carry yourself well and exude self-love, people often will not perceive you as heavy or unattractive. A cinematic case in point comes from the teenage character Tracy Turnblad in the movie “Hairspray.” She was pudgy, but that was outweighed by her other characteristics, no pun intended. Tracy was a sweetheart and a great dancer who loved others. 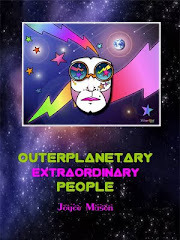 She had a strong sense of justice and fair play—all Venusian characteristics. Tracy got the cool guy, too! Similarly, while many people are not that attractive, if you analyze their features, but they make the most of what they’ve got with style, grooming, and charm. Their warmth of spirit permeates their being and transforms them. They project beauty, even if they are not classically beautiful. On the downside, you could be vain; obsessed with looks and image, or think your looks are really “you.” You love best when you feel good about yourself. 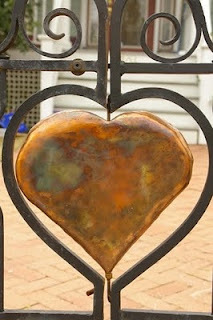 The challenge of Venus in the 1st is to align your image with your heart. Venus in House 2 ~ Your Venus lives in a pamper palace. You value beauty and ambience, often above all else! Let’s face it; you’re a material girl or guy, too. You love security and luxuries and bestow fabulous gifts on the objects of your affection. You cannot live without a harmonious environment, which might include color, furnishings, and a healthy indoor forest of plants and living creatures. Your home is not just your castle; it’s your art gallery, and health and beauty spa. It’s full of things that arouse and thrill the senses from breathtaking art on the wall to aromatherapy scents in the bathroom to swoon over and soak in. You love best when supported by earthy, sensual delights. But make no mistake; in the 2nd house of values, Venus values love and money above all. 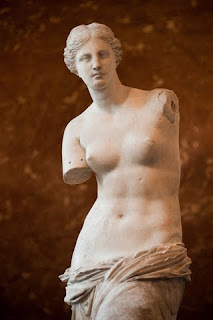 (I consider it humorous in cosmic proportions that Venus rules both.) This is one of the two houses (the other being the 7th), where Venus is most at home. You give yourself to love because it is clearly #1 on your list, even though your love lives in House #2. The lesson of Venus in the 2nd is to make love your home and to let your material resources serve only love. Venus in House 3 ~ Your heart camps out in a call center! You keep in touch with everyone by many of the vast array of modern gismos—phoning, texting, tweeting, or talking. In fact, Twitter and texting were made for you with their short clips of clever conversation. Whoever loves you must be prepared to have his or her ear talked off and whispered in with a frequency that could require major adaptation if s/he isn’t of similar wiring. You love by sharing information, especially with siblings, neighbors and those in your immediate surroundings. You flit here and there, especially for love, and don’t think twice about a relationship that requires a couple of hours’ driving to keep up. After all, you can be in constant touch thanks to wireless! Your challenge is to listen as much as you talk and allow yourself to be introduced to the deeper communication in moments and hours of silence. Venus in House 5 ~ Your love house is a stage and your lovers are your audience. You’re playful in love or/or act out your affection with big, dramatic gestures. The latter might be toned down somewhat if Venus is in a more inner sign like Scorpio or Pisces. You’re a big kid at heart, and you’re nothing if you aren’t entertaining to the objects of your affection. From your love stage, you play the hero in your romantic comedy or melodrama, whatever genre you like. One thing to remember: Not everyone is comfortable, especially at first, with billboards declaring your undying devotion or singing telegrams at the office. For some people, love is a more private affair. You might consider toning it down just a little until you’re sure how much drama your new love can take. It may work better to introduce them to a more showy love style in small increments. Love is also highly creative in this sector of the astrological pie. Nothing would stoke you more than having a partner for duets in painting, writing, running lines, or playing music. That is, as long as he or she realizes that you’re the King or Queen of Love and allows you to take the lead—even if it’s just a little. (It will probably be healthiest for most relationships if it’s as little as possible.) In the same way Venus in the 4th can overdo nurturing to the point of smothering; Venus in the 5th can overwhelm and turn off with gestures of love that are just too much for some people’s sensibilities. If your Venus is in Leo, the concerns are bigger because the 5th is the “natural” house where Leo’s heart’s afire. Something to consider. Bonfires burn out, but a steady slow burn keeps love alive in the long haul. Venus in House 6 ~ Your love nest is a social service agency or wire service for dispensing helpful information. You live to serve your loved ones—and to save the world. If anything, your intimates have to learn to share you with your various causes and a pile of people who need your help or wisdom. Somewhat like Cancer, you often love through food spiced with information. Your love style is to keep an eye on your beloved’s diet and digestion, making sure s/he eats only the best and purest organic produce and pops the right vitamins and herbs. (Of course, you have researched nutrition extensively.) Work is your love zone; hence, it’s easy to fall in love with a workmate, encountering all its allied complications. You adore animals, and you attract love objects that need nursing or healing, both two and four-legged varieties. Health and work are so conjoined; one of your biggest challenges is to keep balance between the two. You get sick if you don’t work enough, but you get sicker if you work too much. If you can’t share what you know, you’ll wither away all together. Your partners must believe in your work, give you space to do it, but gently lure you away for some fun when you over-do. Your challenge is to learn that taking care of yourself is your #1 job, if you’re to continue helping others. When there’s nothing left of the helper, there’s no help to be had. Venus in House 8 ~ Your Venus is at home in a love cave. You probe the psyche and mystical realms. Your cave is filled with candlelight—maybe incense and haunting music. Loving you is a visit to a psychic. You often “read” your beloved with such piercing accuracy; it’s scary. You can really shake up a would-be love, causing him or her to bolt. That kind of “getting into another person’s head” is just one example of how your partner can feel smothered or strangled, turning your 8th House love nest into a lair. To love well, you will need to control any compulsive or obsessive desires and function on the high spiritual end of this “mansion.” Studying spirituality together, creating a safe psychic space to share your deepest feelings and heal your secret pain—this is the 8th House room where your love will thrive. There is plenty of space for both sexual healing and holding hands as you explore higher states of consciousness. Eighth House Venus often has deep issues with trust; therefore, you need to take it a step at a time not just for fear of scaring your partner but also to keep from scaring yourself. The upside of this placement is the capacity for the deepest intimacy. It’s worth the wait. Venus in House 9 ~ Your love is a schoolhouse or travel trailer—a college of higher learning about love. Broadening your horizons is the red carpet you roll out for both you and your loved ones. You thrive on long distance travel and anything “foreign.” Chances are you’re attracted to lovers from distant places and different cultures. You can meet “the one” through travel, or meet him or her at a class and bring their culture and country home through your relationship. Conversely, you could be comfortable living in a foreign land where you won’t feel like a stranger. Notice to would-be loves of Venus in the 9th: If you’re not into a relationship, where there is a lot of growth, adventure, and exploration, pass on this person. Philosophy, religion, and ethical values also are a big part of your mobile home or “university at your house.” You can be as exciting as an Indiana Jones movie or Dan Brown novel. Your challenge in relationship is to open doors for loved ones, but to realize this is parallel play—each of you is on his or her own journey in your own style, even if you’re traveling the same paths. Don’t force your views, interpretations, or values on your loved ones. Enjoy your synergy and learning how you each grow and learn from the quest. Venus in House 10 ~ Your love house is the office, and you take the office with you everywhere. You are ambitious, career-oriented, and take your reputation, profession, and public life seriously. There’s no room for you to be a failure when it comes to your career. Therefore, the love of your life must be understanding, tolerant, yet balance your workaholic tendencies. Chances are you’ll bring a lot of money to the relationship, if not now, later as your career grows—possibly even fame. Would-be lovers need to be comfortable with the limelight. If not, this will set up a dichotomy between home and work that will tear both of you apart. Of course, the thorny issue you’re likely to struggle with is apportioning your time. It’s crucial for you to realize that your personal life provides the balance and recharging you need to be good at your work. If you take the vacations, weekends, and as much personal time as possible (the business runs better without you than you think), this will add to both the success of your relationship and your work. It is difficult to get the big picture when you’ve got your nose to the grindstone. Venus in House 11 ~ Your love house is a convention or political rally. Here many people will listen to your progressive ideas. Lovers compete with your causes, your other passions. Friendship is paramount to you, and a relationship must have a strong component of liking each other and enjoying each other’s company. In fact, yours may be one of the likeliest placements for friendship turned romance. You may meet would-be loves in groups and organizations. Don’t count him or her out if s/he takes the opposing view while you’re railing about your latest reformist vision of how the world could be. (That’s how I met my first husband.) You are intellectual, original, and wed to making the world a better place. Much like Venus in the 10th, your lovers need to be tolerant of your mission in life and pull you back when your mission is about to overtake you. Look for love with smart, like-minded people; keep love by remembering that you’ll only be as successful as you’re replenished for the good fight. That means taking time for your lover/best friend—who for you is likely to be the same person—your partner. Venus in House 12 ~ Your Venus lives in a haunted house or museum. You may unwittingly carry psychic cords and remain bonded to anyone you have ever loved or have sticky residue from past experiences. This leaves your love house sometimes crowded with cobwebs and Ghosts from Romance Past. You may also surprise yourself by being unclear about your feelings for someone until the words just fall out of your mouth on the day you’re ready to commit. Unconsciousness is both the upside and downfall of this placement of Venus. Your subconscious may actually be a fine matchmaker. On one hand, those psychic cords may allow you to “signal” your soulmate in the ethers that you’re waiting for him or her. This can cause a chain reaction of events that draw you together. Your capacity for psychic bonding also makes you so sensitive to your lover’s needs, you are romance incarnate. On the other hand, you can be so unaware of your beloved at times; it can be infuriating—or simply hilarious. Example of the latter: I called my Venus in the 12th husband from the grocery store one day during a long bout of errands to say I’d be home later than expected. “You’re not home?” He’d forgotten I had gone out and thought I was just in my office in the back of the house, working away as usual! Your homework is to practice grounding. Engage often with your beloved in earthy pursuits, whether they’re sexual or practical like planning menus or digging in the garden together. In other words, be in your bodies. While teleportation might a nice experience to try or a nice place to visit, floating around out of body can lose its charm in a hurry, especially when you hit the ground with a thud. If those cobwebs and old cords keep getting in the way, see a professional psychic who knows how to cut them and help you move on into the mystery of your new love with all its potential for mystical union. The aspects to your Venus will tell you how easy or difficult it is to express your love nature. Easier aspects like sextiles and trines are usually a piece of cake. The aspects you’ll really learn from, though, will be those challenging squares and oppositions that create tension between two planets. Even that tension has an upside. Who doesn’t want to learn more about love? Week 1 Comment Contest Winner! Congrats to JuliaAna from Shell Knob, MO, winner of this week’s drawing among readers who have commented on The Radical Virgo between Feb. 1 -7. 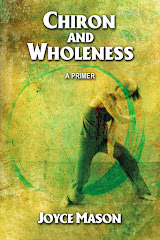 JuliaAna’s prize is a copy of my e-book, Chiron and Wholeness: A Primer.